If you crave barbecue, but don't have a fancy pit or smoker, or if the weather isn't cooperating, don't despair! 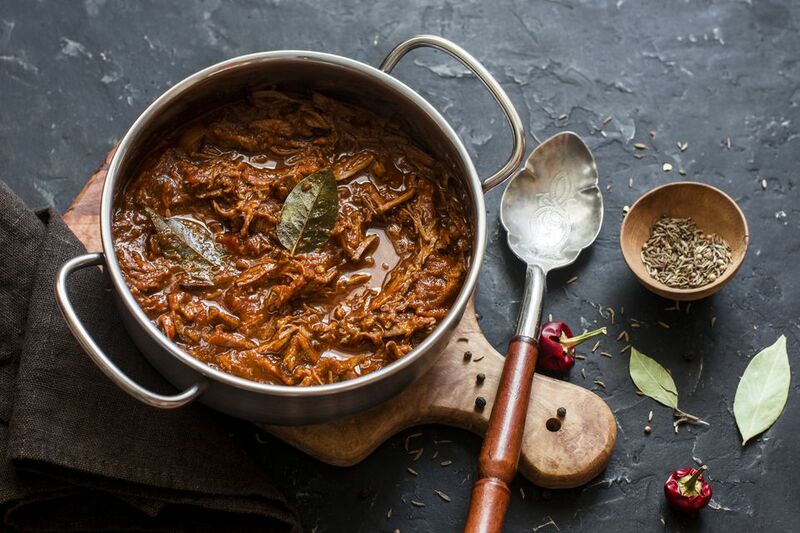 Not only does the slow cooker excel when it comes to tender, juicy barbecue; all you have to do is throw the ingredients together in the crock pot, press the button, and go about your day. These recipes include succulent shredded beef sandwiches, melt-in-your-mouth beef short ribs, tender, delicious beef brisket, and barbecue dishes with ground beef. You can never go wrong with beef short ribs in the slow cooker, and this recipe is a perfect example. Meaty short ribs break down and become incredibly moist and succulent over a long period of cooking. Plus, the recipe is about as effortless as it gets. As an alternative, use a chuck roast or chuck stewing beef in the recipe. Short ribs come in three basic cuts. Boneless short ribs are meatier and less fatty, but they won't have the flavor you get from the bones. English-cut short ribs are cut along the bones, while flanken-style ribs are cut across several bones. This tender, shredded slow-cooked beef features a homemade barbecue sauce. For this recipe use a tougher cut of beef, like chuck or bottom round. The beef will melt in your mouth. Serve the beef on split buns with extra barbecue sauce. Serve the sandwiches with coleslaw and fries or chips, if you like. For the classic sandwich, top it with a spoonful of slaw and slices of dill pickle. All you need for this sublime barbecued brisket is a bottle of barbecue sauce—your favorite brand or flavor—and a few seasonings you probably have in your pantry. Instead of the typical braise in liquid, this recipe calls for a foil wrapping for the seasoned roast. When the brisket is very tender, shred the meat and finish cooking it with the barbecue sauce. If your family likes sloppy Joe sandwiches, they'll love this barbecue version. It's a versatile combination of ground beef with a flavorful homemade sauce. Another thing parents will like about this recipe is the addition of grated carrots. Picky kids won't even know they're there! Serve the beef on toasted soft hamburger buns or bulkie rolls along with French fries or chips and pickle slices. The combination of beef and beer is classic, and it's easy to see why. The recipe calls for round steak and onions, cooked in a homemade beer barbecue sauce. The beef is cooked low and slow for about 8 hours, resulting in tender, juicy beef. Chop or shred the beef and make sandwiches with it. You don't need a pit barbecue to produce tender, juicy ribs. These beef ribs require minimal hands-on time, and they come out perfect every time. 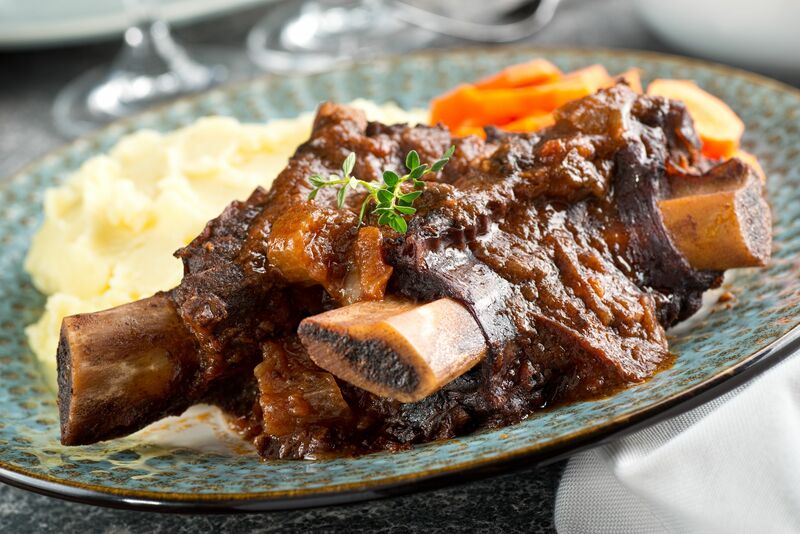 The barbecue sauce—purchased or homemade—is doctored with some wine and Worcestershire sauce, giving the short ribs flavor that will leave you wanting more. These crock pot beef short ribs make a memorable meal, whether for a rainy day cookout, a family dinner, or tailgating event. The barbecue sauce is kicked up with some red wine, Worcestershire sauce, and a variety of spices and seasonings. You probably have everything on hand. This beef recipe offers two popular flavor profiles, while the cooking method remains the same. Choose Italian-seasoned shredded beef or one with barbecue flavors. Both flavorful versions are fabulous shredded and served in sandwiches. Or serve the beef along with rice or potatoes. This recipe is ridiculously easy, and the results are amazing. You only need a package of frozen meatballs, barbecue sauce, and two more ingredients. The meatballs and sauce mixture cook with minimal effort while you go about your day. Serve the meatballs as an appetizer or main dish along with rice, noodles, or potatoes. Barbecue beans are slow cooked to perfection with three kinds of beans, browned ground beef, bacon, and chopped vegetables. The barbecue sauce includes root beer, brown sugar, ketchup, and some liquid smoke. Throw these beans together for a picnic or cookout. They can be cooked up to two days in advance.